This month, KFC is the brand which has achieved the biggest uplift in its Ad Awareness. The campaign reinstated faith in the brand, and gained praise from across the advertising and marketing industry. But that wasn’t enough for KFC, which has returned to our screens with a bang in its latest ad – a major comeback featuring the iconic colonel Sanders, his first appearance in 40 years. The advert adopts the style of a film trailer, and has already had a significant impact among the general public, with the brand’s Ad Awareness score (whether someone has seen an advert for the brand) jumping from +20 to +25, since it was released. 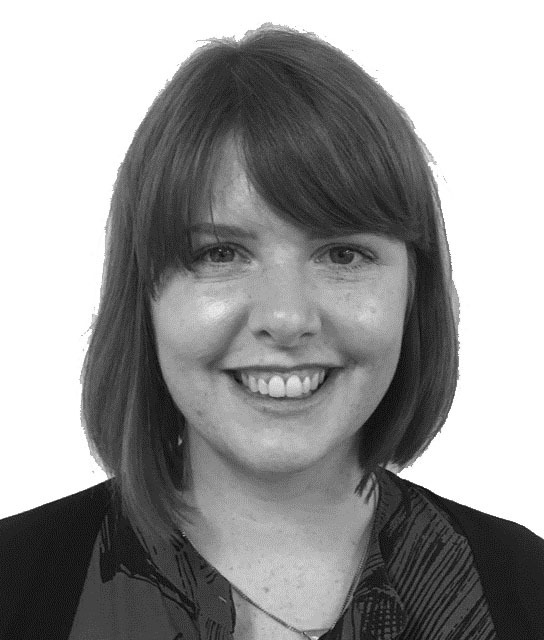 It has also had an impact in other areas. Purchase Consideration (whether someone would consider purchasing from the brand) among the same group has also risen from +15 to +20 during the same timeframe. The campaign has had particular cut through among those who already buy from KFC. Among its current customers, Impression (whether someone has a positive impression of a brand) has risen by a massive 29 points, going from +30 to +58. Among the general population, the brand has done well to get Impression almost back to where it was pre chicken shortage, bringing it back up to neutral with a score of zero. 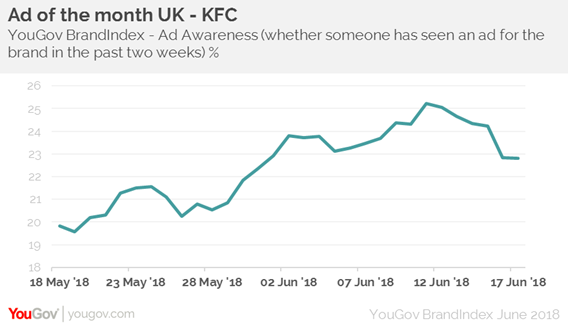 KFC can be confident that any trace of its faux pas back in February has been largely forgotten, and the brand will be looking to capitalise on the increased good-will that this campaign has fostered.